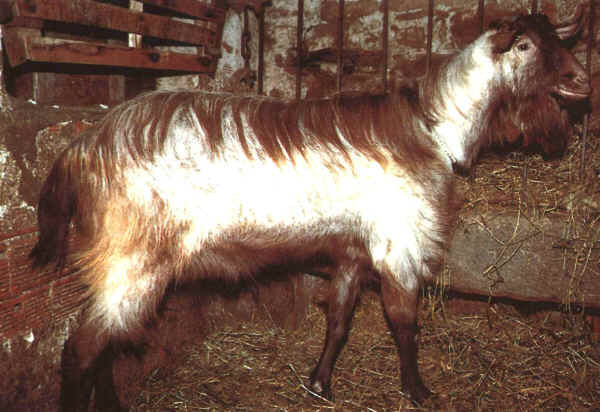 It is considered an autochthonous breed of Alta Langa Val Bormida (province of Asti – Piedmont) the most diffuse goat breed in that area; probably it belongs to the Alpina group. Long-haired coat with a great variety of colour (beige, black, white or brown) either plain or pied. Usually no horns are present. Prevailing milk production: it is used to make Robiola of Roccaverano.